Deputies responded at 12:44 pm to the area of 130 Maple Street in Inglis, Fl yesterday to a reported suspicious incident. Approximately 20 minutes earlier a 10 year old girl was walking along Maple Street going to a friend’s home. While walking along the road, a white Chevy S-10 with rust spots driven by a white male. The driver was described as bald with a goatee and rotting teeth pulled along side of her. He opened the passenger door and motioned to her while saying “come in”. The child immediately ran away and observed the vehicle depart the area in the area of CR 40A. Additional deputies responded to the area searching for the vehicle described by the child. The vehicle was not located. Other residents in the area were interviewed and their information confirms this vehicle and the driver have been seen before. The search continues for this person. Any resident of Inglis or Yankeetown who may know this individual are asked to contact LCSO at 352-486-5111 with information on how to find him. LCSO wants to identify this subject and put any community fears at ease. On July 14, 2014, 2013 personnel from the Levy County Sheriff's Office, along with family members and fellow COPS (Citizens On Patrol) members honored Tom and Donna Munsell on their retirement from the organiztion. Mr. Munsell was a part of the second volunteer academy taught at LCSO in the early 1990’s. During his many years of service Mr. Munsell donated 2,122 volunteer hours to the citizens of Levy County. Mrs. Munsell donated an additional 751 volunteer hours. The Munsells were joined at the ceremony by their son, Richard Munsell, and daughter-in-law Amy Munsell. Sheriff McCallum presented individual plaques to the Munsells and expressed LCSO’s appreciation for their service. We wish the Munsells the very best on their retirement! 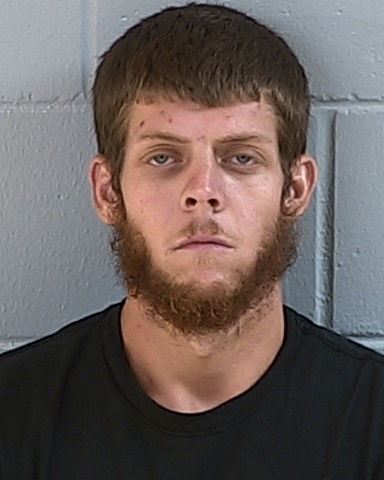 On July 6, 2014 at approximately 2:15 PM, Deputies from the Levy County Sheriff’s Office responded to the Rosewood area on SW 95th Avenue to the report of a Missing Person. Chad Risker reported that Eugene “Gene” Hodges (11-23-36) went to a rock pit near his hunting camp and had not returned. Sgt. Carl Rogers and Deputy Clint Anderson responded to the rock pit. Deputy Anderson was able to locate the body of Mr. Hodges in the water in the rock pit. On July 7, 2014 the Medical Examiner conducted an autopsy. They were able to determine that Mr. Hodges died of natural causes and had not drowned. The LCSO investigation is closed. Mr. Hodges was a former State Representative, Parole Commissioner and Cedar Key Mayor and Commissioner. The Levy County Sheriff’s Office is seeking the public’s assistance with the investigation of a murder which occurred on July 5, 2014. At approximately 10:20 P.M. LCSO received a 911 call reporting a suspicious vehicle and possible shooting. Deputies and Williston Police Officers responded to area near the intersection of NE 218th Avenue and NE 35th Street, east of Williston. The responding deputies found a white Ford Crown Victoria parked on the roadway. The deputies discovered the victim, Leo Rives (11/25/82), on the ground beside the vehicle. It was subsequently discovered that Rives had suffered a gunshot wound and was deceased. Evidence recovered at the scene indicated that Rives was most likely shot by someone who had also been riding in the car. An autopsy will be conducted on July 7, 2014. LCSO is working with various other agencies including FDLE, the Marion County Sheriff’s Office, and the Medical Examiner’s Office to identify and apprehend the unknown shooter. Anyone with information regarding this crime is encouraged to call LCSO at 352-486-5111 or CrimeStoppers at 1-800-349-8477. 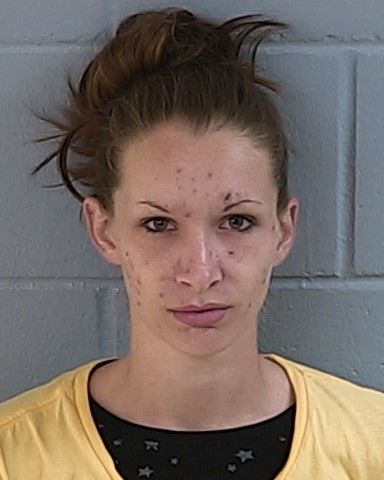 Levy County Sheriff’s Investigators located and arrested Bonnie Gray 7-28-89 and Nathan Turner 9-17-87 for several burglaries in the Otter Creek area of Levy County. Three burglary locations have been identified and approximately $30,000 in property has been recovered. Gray and Turner were identified after investigators received a tip from a concerned citizen who was able to only give a description of a vehicle they were driving. Investigators developed this information and were able to recover video surveillance of the two as they pawned stolen property at four pawn shops located in Levy, Gilchrist and Alachua Counties. Victims were able to identify their property from photographs taken by investigators. Investigators found a location in Otter Creek where the couple had been “stashing” some of the stolen property. These items were recovered. Investigators then intensified their attempts to locate them and did find them the same afternoon in the Bronson area of Levy County. LCSO subsequently served a search warrant on the vehicle owned by Turner, but was being driven by Gray at the time of their arrest. Investigators recovered one firearm and additional stolen property from the truck. Gray is being held in the Levy County Detention Facility on a $60,000 bond. Turner is being held in the Levy County Detention Facility on a $35,000 bond. More charges are anticipated to be filed on each subject. Levy County Department of Public Safety and LCSO Deputies responded to East Williston shortly before midnight last night. Several reports were made concerning individuals suffering from violent seizures, high blood pressure and foaming at the mouth after falling unconscious. Five people were transported to nearby medical facilities after falling ill. Two additional people refused medical aid and two more were not located at the scene when deputies/EMS arrived. Investigators determined a subject known by the street name “Minute” had been selling crack cocaine laced with an unknown substance. The subjects transported, two black males in their 50’s, one white male in his 30’s, a male in his 60’s and one black female in her 30’s are still being monitored by emergency staff. The substance has not been identified. LCSO and Levy County Department Public Safety are urging everyone to exercise extreme caution. Not only could you be arrested and jailed for possession of crack cocaine, citizens are taking huge life safety risks by smoking these unknown illegal substances.